Greater than, less than or equal to: that is the question in this worksheet! 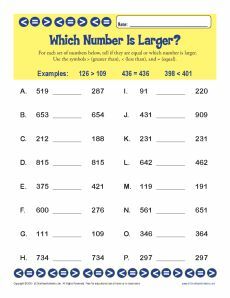 Your student will use place values to determine the answer. It's a great way to practice 2nd grade Common Core Standards for Number & Operations in Base Ten. Other students may also find it helpful.